Dr. Calonge accomplished her MD degree in 1983 and her PhD degree in 1987 at the University of Valladolid, Valladolid, Spain. Ophthalmologist lisenced in Spain and the European Union since 1987. Subspecialty by means of two fellowships in Ocular Immunology at Schepens Eye Research Institute (1987) and Massachusetts Eye and Ear (1988), Boston, USA, respectively. 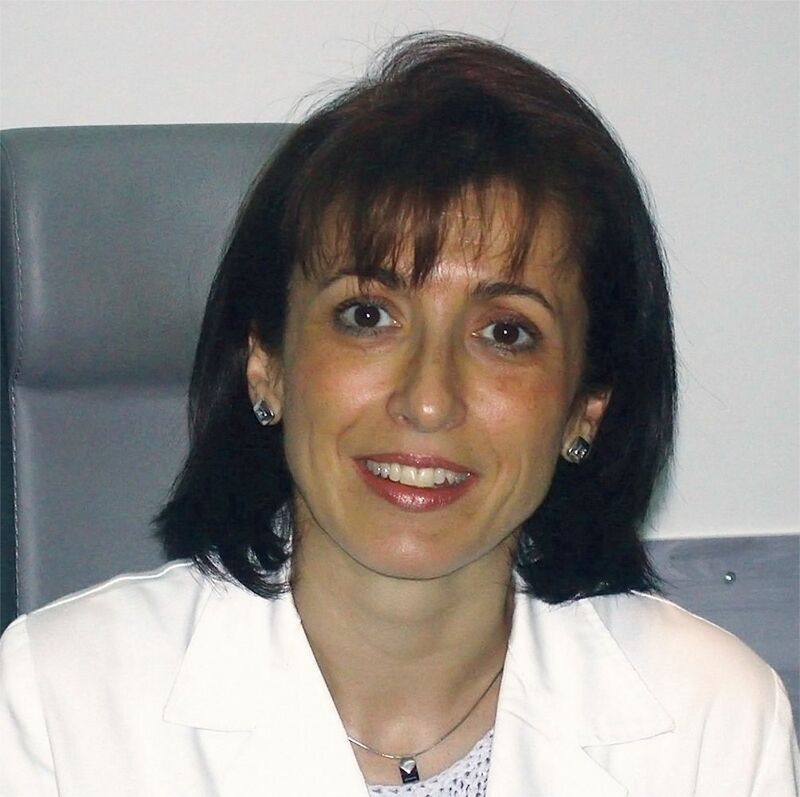 She directs the Ocular Immunology Clinical Unit and the Ocular Surface Disease Research Group and Program at IOBA (Institute of Applied Ophthalmobiology), University of Valladolid. Academically, she is Full Professor of Ophthalmology at the Department of Ophthamology, where she teaches Ophthalmology in the Medical School, and Ophthalmic Physiology at the School of Optometry. She is professor in the InterUniversity PhD Program in Visual Sciences and director of the Master in Ocular surface and Immunology. Dry Eye Disease: role of conjunctival epithelium in its pathophysiology. New therapeutic options. Ocular allergy: role of conjunctival epithelial cells as antigen presenting cells. New therapeutic options. Ocular surface bioengineering and stem cell therapy. Enríquez de Salamanca A, Calonge M,. Muscarinic receptors in the ocular surface. Curr Opin Allergy Clin Immunol 2006;6:379-382. USA. Key: R.
Diebold Y, Jarrín M, Sáez V, Carvalho ELS, Orea M, Calonge M, Seijo B, Alonso MJ. Ocular drug delivery by liposome-chitosan nanoparticle complexes (LCS-NP). Biomaterials 2007;28:1553-1564. UK. Key: A.
Bonini S, Rasi G, Brusasco V, Carlsen KH, Crimi C, Popov T, Schultze-Werninghaus G, Gramiccioni C, Bonini M, Passali D, Bachert C, van Cauwenberge PB, Bresciani M, Bonini S, Calonge M, Montan PG, Srapiao Dos Santos M, Belfort Jr R, Lambiase A, Sacchetti M.
Nonspecific provocation of target organs in allergic diseases: EAACI-GA2LEN consensus report. Allergy 2007;62:683-694 USA. Key: A.
González-García MJ, González-Sáiz A, De la Fuente B, Morilla-Grasa A, Mayo-Iscar A, San José J, Feijó J, Stern ME, Calonge M.
Exposure to a controlled adverse environment impairs the ocular surface of subjects with minimally symptomatic dry eye. Clinical grading of atopic keratoconjunctivitis. Siemasko KF, Gao J, Calder VL, Hanna R, Calonge M, Pflugfelder SC, Niederkorn JY, Stern ME. In vitro expanded CD4+CD25+Foxp3+ regulatory T cells maintain a normal phenotype and suppress immune-mediated ocular surface inflammation. Enríquez de Salamanca A, Calder V, Gao J, Galatowicz G, García-Vázquez C, Fernandez I, Stern ME, Diebold Y, Calonge M.
Cytokine responses by conjunctival epithelial cells: An in vitro model of ocular inflammation. Enríquez de Salamanca A, Calonge M.
Cytokines and chemokines in immune-based ocular surface inflammation. Experts Rev Clin Immunol 2008;4:457-467. Martínez-Osorio H, Juárez-Campo M, Diebold Y, Girotti A, Alonso M, Arias J, Rodríguez-Cabello JC, García-Vázquez C, Calonge M.
Genetically engineered elastin-like polymer as a matrix to culture cells from the ocular surface. Current Eye Research 2009. In press. Key: A.